The first thing you need to ask yourself is how would you feel if there were other people living in your old house? If you sell it, can you cut yourself off emotionally from the old house? 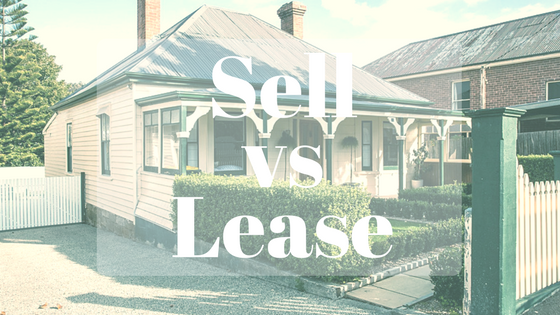 If you keep it and rent it, it’s still yours but you might feel that the tenants may not look after it like you did. If you can get over the emotional aspect of somebody else living in your home, there are some financial considerations. Imagine your existing home is worth $400,000 and you have a $100,000 mortgage on this house. The new home you want to buy is worth $600,000. Let’s assume that you only have enough cash to pay for the buying fees such as stamp duty and to keep it simple, there are no other fees or costs. Also, if you rent your existing home, you should receive $20,000 per year. If you sell the existing house, you have $300,000 left over ($400,000 – $100,000 mortgage) to use as a deposit to buy the new house. This means you only need to borrow $300,000 to buy the new house. If you keep your existing house, you will still have a $100,000 mortgage and you have to borrow another $600,000 to buy the new house; that is total borrowings of $700,000. As a result, your mortgage repayments will be higher than if you sold your old house. However, when you rent your old home, the rental income of $20,000 will go a long way towards paying for the higher mortgage repayments. As time goes on and the rent increases, your overall cash flow will improve. In Scenario A, you will own one house worth $600,000 and have one mortgage of $300,000. In Scenario B, you will own two homes which are currently worth $1,000,000. However, you will have two mortgages with a total debt that of $700,000. On the one hand, Scenario A is a safer option as you only have one mortgage of $300,000. There is no right or wrong answer but there are a number of issues you need to think about before you make a decision. If you are seriously contemplating one of these two options, you should also seek advice from your accountant as there are some tax implications to consider.Do you pick the safer option, Scenario A or do you aim to markedly increase your net worth and choose Scenario B?